On June 30, a team led by Andrew Beardmore at the University of Leicester, U.K., imaged the system using the X-ray Telescope aboard Swift, revealing a series concentric rings extending about one-third the apparent size of a full moon. A movie made by combining additional observations acquired on July 2 and 4 shows the expansion and gradual fading of the rings. 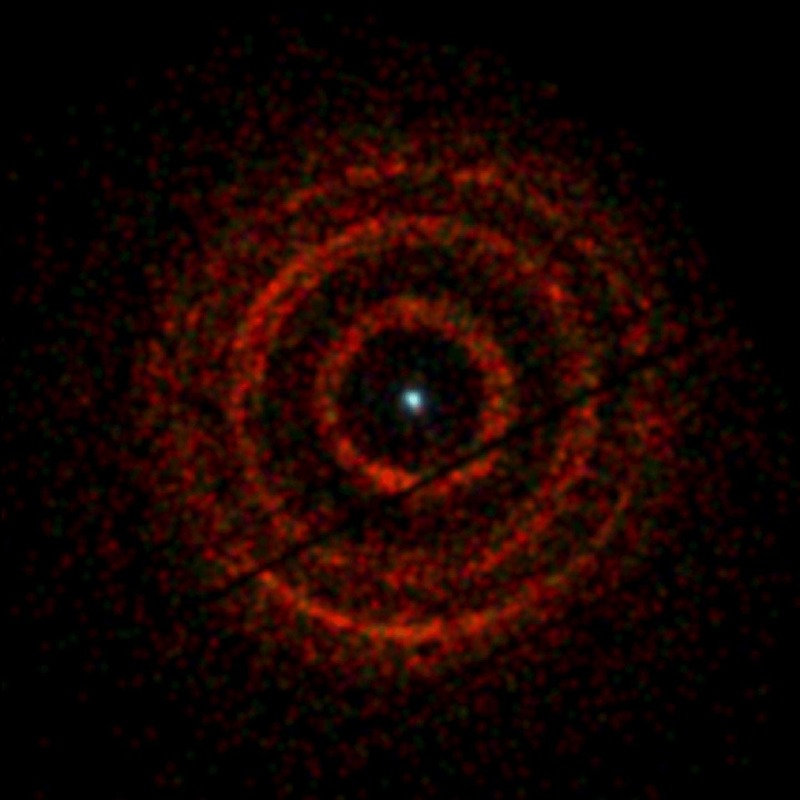 Astronomers say the rings result from an "echo" of X-ray light. The black hole's flares emit X-rays in all directions. Dust layers reflect some of these X-rays back to us, but the light travels a longer distance and reaches us slightly later than light traveling a more direct path. The time delay creates the light echo, forming rings that expand with time. "The flexible planning of Swift observations has given us the best dust-scattered X-ray ring images ever seen," Beardmore said. "With these observations we can make a detailed study of the normally invisible interstellar dust in the direction of this black hole." The investigating team includes scientists from the Universities of Leicester, Southampton, and Oxford in the U.K., the University of Alberta in Canada, and the European Space Agency in Spain. Swift was launched in November 2004 and is managed by NASA's Goddard Space Flight Center in Greenbelt, Maryland. Goddard operates the spacecraft in collaboration with Penn State University in University Park, Pennsylvania, the Los Alamos National Laboratory in New Mexico and Orbital Sciences Corp. in Dulles, Virginia. International collaborators are located in the United Kingdom and Italy. The mission includes contributions from Germany and Japan.